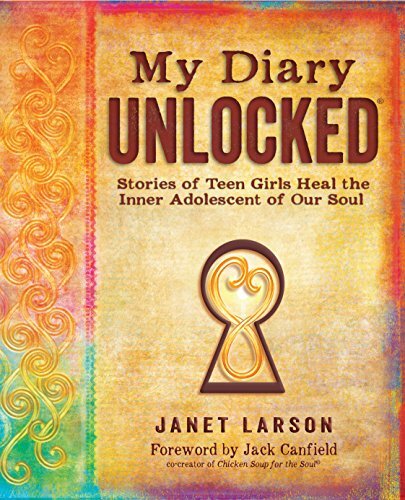 My Diary Unlocked is an award-winning diary based self-help book for women and teen girls - and for anyone who carries unhealed wounds from their inner adolescent into adulthood. Through raw and real diary entries woven together with guidance and wisdom to emerge triumphant above the struggles, the book imparts the value and power of sharing your personal inner truth as it provides tools to raise self esteem and empower readers to live authentic lives. This book brings to life the gut-wrenching, serious, funny, heartbreaking, heartwarming and liberating experiences typical during the adolescent years, sending the message loud and clear that you are not alone. Each chapter explores one of the many issues that have occupied the minds and hearts of teenage girls for decades, if not centuries: body image, eating disorders, family, relationships, romance, sexuality, pregnancy, self-esteem, bullying and negative self-talk, addictions, coping with loss, change and even death. Diary entries are followed with insights, inspiration and practical action steps contributed by some of today s leading authorities on human potential, parenting and teen issues. Reflections shared by the diarists themselves reveal the resilience of the human spirit as they offer inspiration and encouragement to those walking a similar path. Action steps are shared to rekindle the feminine qualities of compassion, empathy and understand for all of humanity. This book is often purchased with it's companion diary - Diary: The Answers Are Within, also available on Amazon.